The ACLU Campaign for Smart Justice is an unprecedented, multiyear effort to reduce the U.S. jail and prison population by 50% and to combat racial disparities in the criminal justice system. We are working for reforms in Alabama and all 50 states to usher in a new era of justice in America. Imprisonment is a brutal and costly response to crime that traumatizes incarcerated people and hurts families and communities. It should be the last option, not the first. Yet the U.S. incarcerates more people, in both absolute numbers and per capita, than any other nation in the world. In Alabama, the incarcerated population has skyrocketed since 1980, growing five-fold as of 2017. This growth is forcing state-run prisons to operate at 164% capacity, which ranks as the most overcrowded prisons in the country. Most of the people in Alabama county jails have never been convicted of a crime -- more than 70% are awaiting trial. In addition to the rate of incarceration, which ranks third nationally in the rate of people imprisoned, Alabama also has around half of people in Alabama's prisons serving a sentence of 20 years or more. One out of every three Black boys born today can expect to go to prison in his lifetime, as can one of every six Latino boys, compared to one of every 17 white boys. At the same time, women are the fastest growing incarcerated population in the United States, and Alabama ranks sixth nationally for the rate of women imprisoned. Alabama's prison system costs taxpayers $478 million of its general fund on corrections in 2016, which is a 126% increase since 1985. This money should be spent building up, not further harming our communities. Investment, not incarceration, is how we improve safety. 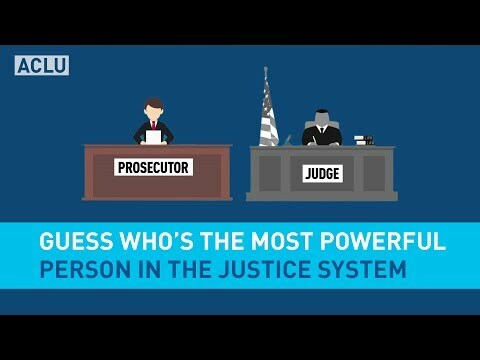 The ACLU’s Campaign for Smart Justice is committed to transforming our nation’s criminal justice system and building a new vision of safety and justice. The Campaign is dedicated to cutting the nation’s incarcerated population in half and combatting racial disparities in the criminal justice system. Learn more about Alabama's Blueprint for Smart Justice to see how we can cut our state's incarceration in half. Unjust and for-profit bail systems needlessly lock up millions of people who haven't been convicted of a crime just because they can't afford to pay bail. We're overhauling this harmful system that strips people of their rights, targets poor people and people of color, and hurts families and communities. Learn more about our recent legal case challenging Randolph County's wealth-based detention. We must reduce both the number of people entering jails and prisons, and the extreme laws and policies that drive extraordinarily long prison terms. Learn more about our work during the 2019 Alabama Legislative Session. Prosecutors across the country work towards convictions, not justice. These elected officials bear great responsbility for driving mass incarceration. We're changing that by challenging prosecutorial abuse in the courts and legislatures and through voter education. Each year, 600,000 men and women nationwide return from prison to their communities. Yet the challenges do not end once the prison bars are lifted. They face nearly 50,000 federal, state, and local legal restrictions that make it difficult to reintegrate back into society. We are working to end the collateral consequences that are imposed on people living with a criminal record. Learn more about how to restore voting rights in Alabama when disenfranchised due to felony convictions.